It’s funny that I am posting one of my passover recipe hits now, when so many of you have been asking me when I am starting to post recipes for Shavuot. (For those of you who don’t know, Shavuot is a Jewish holiday celebrating the Torah. And it’s traditional to eat delicious dairy food…like cheesecake! I’ve got you covered in that area…later in the week! 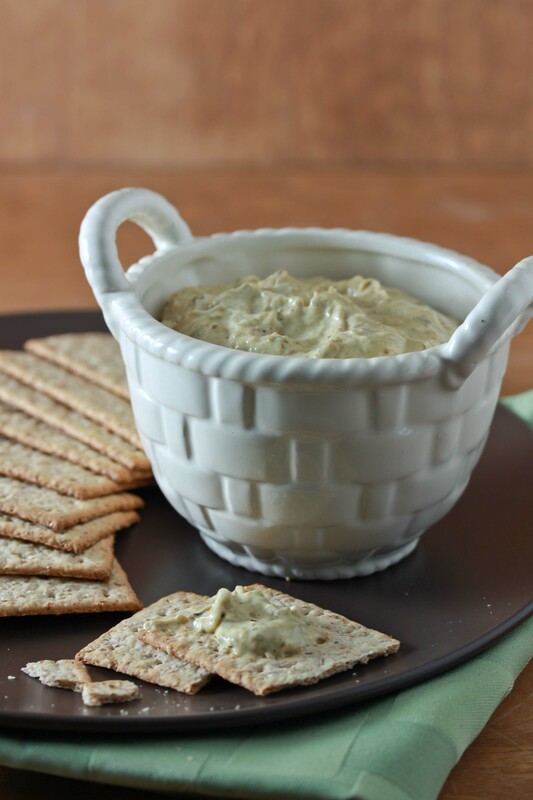 But today I want to share this fabulous dip recipe. I made it on Passover, when I couldn’t use many spices (or even the garlic) so I roasted the jalapeno to bring out more flavor. It was an amazing hit, so I knew I would make it again to photograph and post. Well when my awesome friend BL told me she was coming as a Shabbat guest, I knew she would be the perfect one to make it for. Suffice it to say there aren’t any leftovers. Preheat oven to 450. Line a cookie sheet with parchment paper and set aside. Place the jalapeno, garlic and olive oil on the tray, and toss to combine. When the jalapeno and garlic has cooled, place them with the oil from the tray into the bowl of a food processor (you can also use a tall bowl of container and an immersion blender.) Add the mayo and blend until smooth. Add salt and pepper to taste. 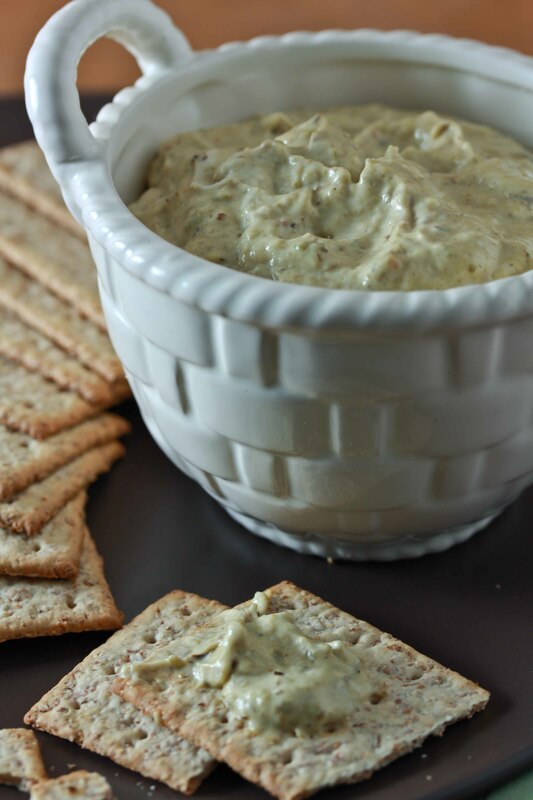 Serve with bread, crackers or veggies, or anything else you like to dip into delicious dips! Thanks for stopping by! Come back soon because I have some of the most drool-inducing, awe-inspiring and fab-tastic desserts coming your way very soon! -Miriam PS: I made a layer cake for the first time today! I documented it all on instagram…do you follow me? People this dip is sooo good!!! I need to buy a blender just so that I can make this for shabbos! Yay! Let’s see what I come up with next time you come! This is my kind of dip! Good point! I’ll have to get on that. Great looking dip, and I love your bowl! Thanks for this awesome recipe!! Great pic. 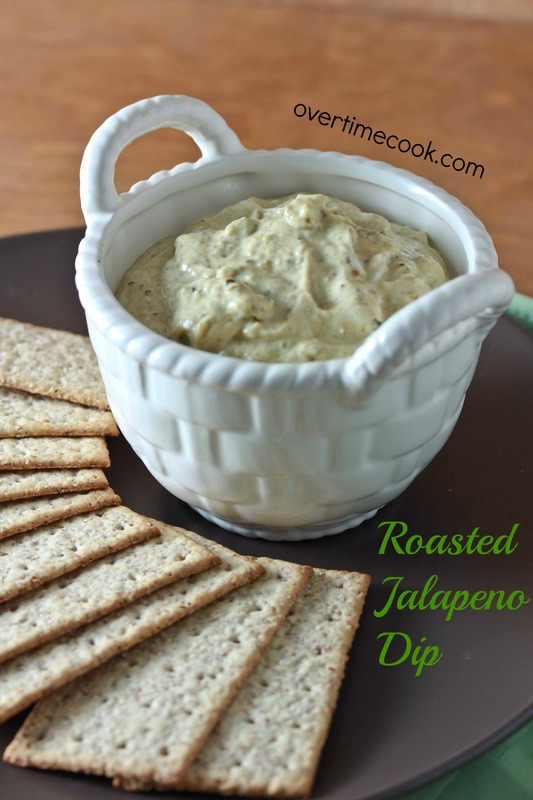 I’ve made roasted jalapeno soup before, so I know how much of a difference roasting jalapenos make! I cant wait to try this dip! I think I would love this! Mmmmmm. I made this last shabbos and all my guests loved it! There was nothing left at the end of the meal 🙂 Thanks for another great recipe. P.S. I’m in love with your blog!! Why does my dip come out darker than the picture? hey how do i make it thick- after blending is very liquid. Is this healthy? Half a cup of mayo sounds scary! You aren’t meant to be eating a ton of it at a time. It’s a condiment, and a delicious one.